How do I copy a page in a course? Edit the URL. Be sure to include the filename at the end when you're copying a course URL or to create a new one. If the final URL for your new page is not unique, this process will not work. You will then land on the duplicated page. 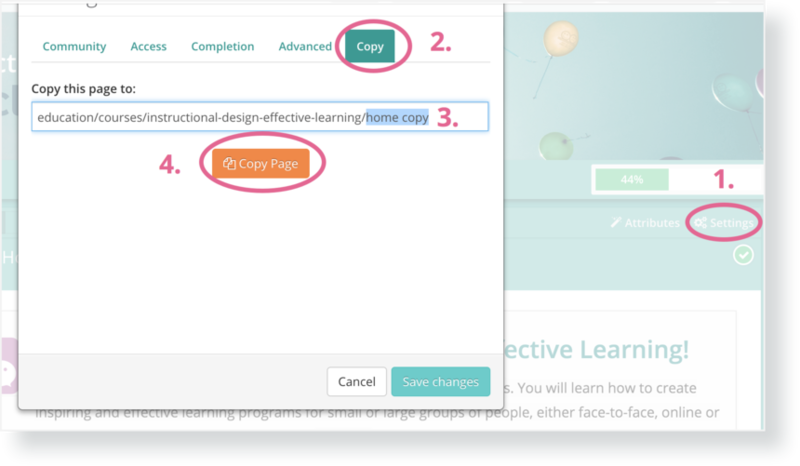 To add the duplicated page to a module, go to Course Setup > Content and start typing in the page name in the preferred module section.